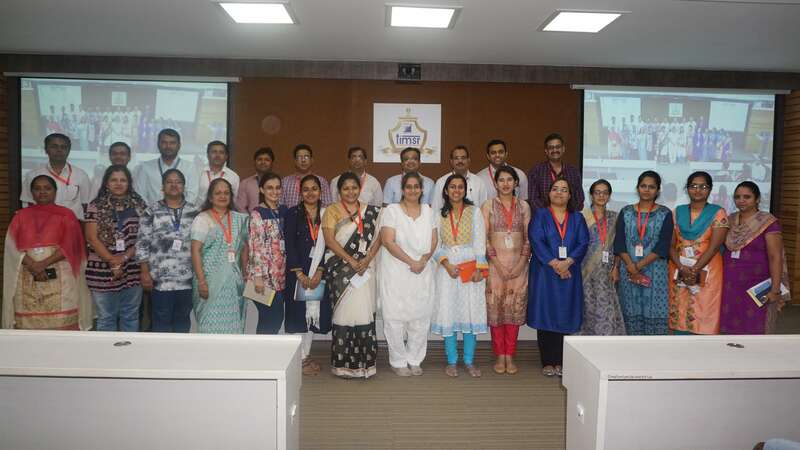 An FDP was conducted by Dr. Kiran Kakade, Assistant Professor, HR Department, on "Aligning Technology to Learning Purpose" on March 02, 2019. 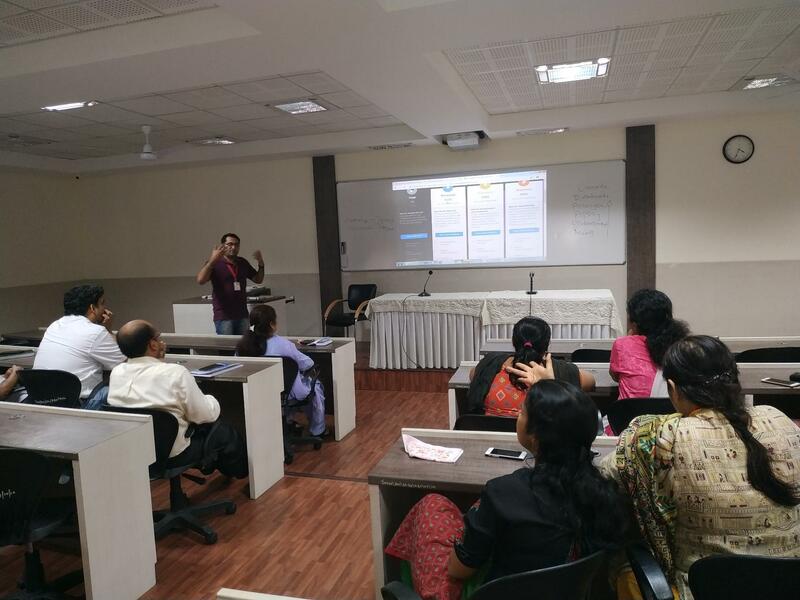 The session outlined the content that helped faculty to learn Bloom's Taxonomy, aligning course objective with Bloom's Taxonomy, aligning ICT tools with Bloom's Taxonomy in teaching pedagogy. Dr Subhasree Nag, Solution Consultant, Life Sciences and Scientific Research at Clarivate Analytics came to TCSC campus to address the faculty. The session was coordinated by TIMSR research cell.The key points were utility of web of science, endnote and journal citation report for researchers. She accentuated the Role of Web of Science in Research and Publishing including literature review, research trends and research collaborations. An FDP was conducted on “Learning Management Systems” by Dr.Kiran Kakade, Assistant Professor, HR Department, TIMSR on 16th January 2019. The session outlined the content about instructional technologies including learning management system using MOODLE. 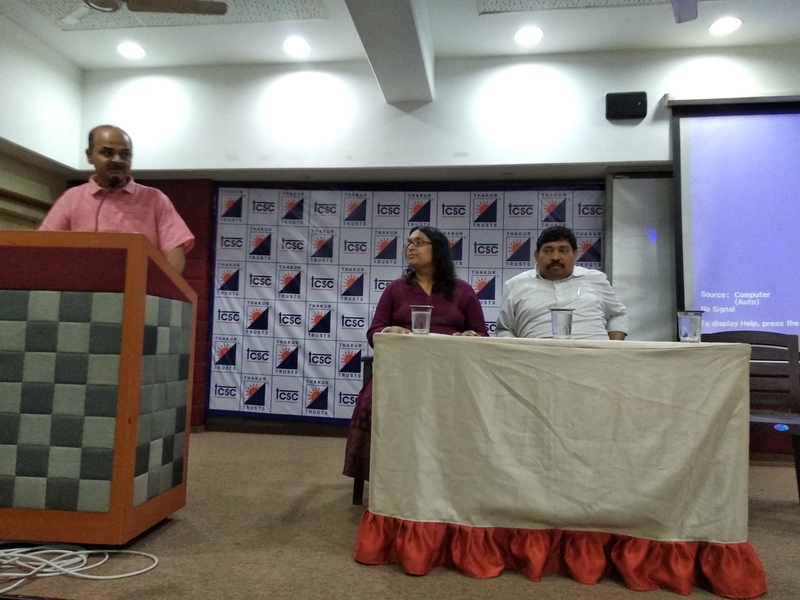 The ISO 9001:2015 awareness session for faculty and staff was organised on 6th September, 2018. The aim of the session was to create an awareness of ‘How to conduct an effective ISO audit’. The Resource person, Ms Payel Saha (MR-TCET) gave a broad overview of the ISO 9001: 2015 requirements wherein she covered salient aspects such as process driven & risk based approach, requirement in respect of risk mitigation and document maintenance. 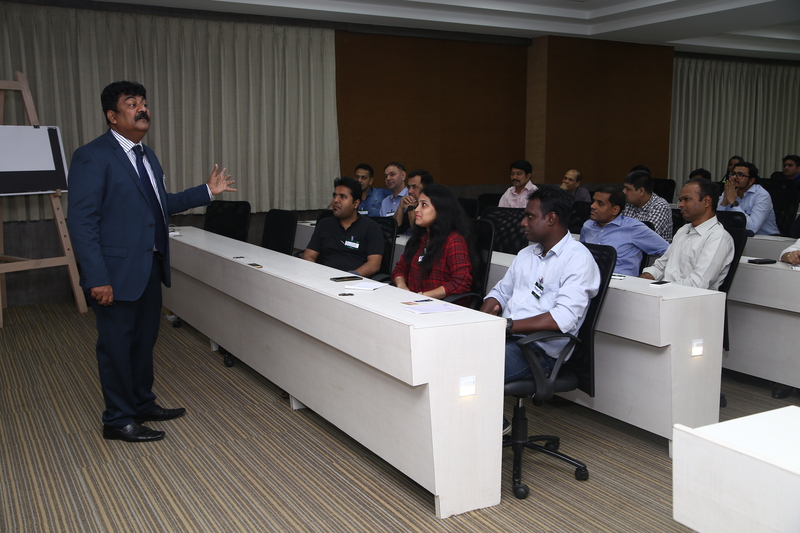 Participants were made aware of the various clauses of ISO 9001:2015 standard. Thereafter the team members from TCET Prof. Sukruti Kaulgud, Prof. Kalavati Patil, Mr. Uday Waskar showed a role play of ‘How to conduct an effective ISO audit’. The FDP was organized by TIMSR on 29/09/18. The objective of this event was to develop a sense of awareness towards the Toxic Emotions at workplace: its effects on physical and Mental health. The teaching and non-teaching staff got aware of the side effects of the negative emotions on physical and mental health of the individual. Dr. Pradnya Nagle, a physician having more than 15 years of experience delivered the session and made the audience aware about the technical glimpses of the medical science attached to the emotional trauma and how it effects human body. 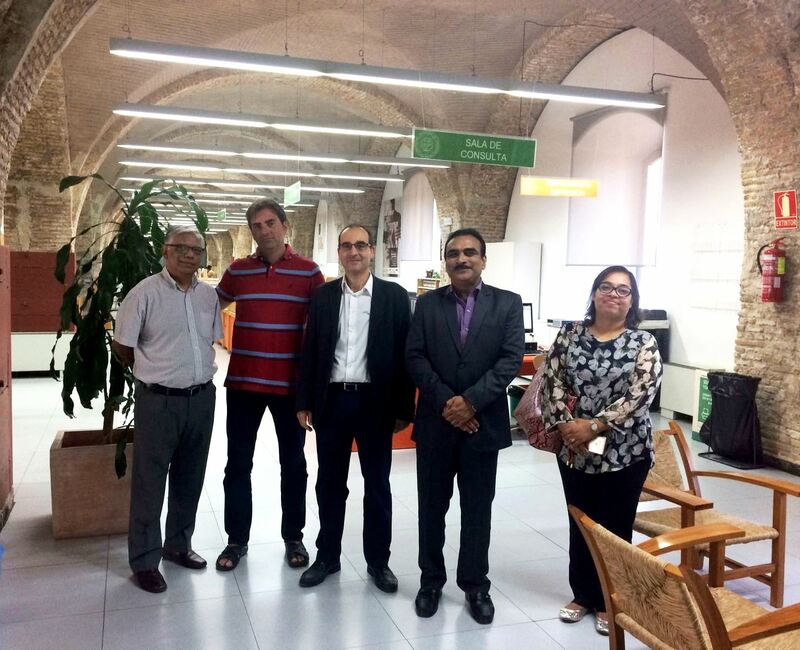 Dr Ramakumar Ambatipudi, Director TIMSR and Prof Medha Bakhshi, Head GM Dept, attended a one-week Erasmus programme at UPCT, Spain from 23rd October to 28th October 2017. The visit provided avenues of exchanging ideas and fostering collaboration in joint ventures pertaining to teaching, training and research. It also provided an insight into programme design and structure in the European context and B-school mandates in the global context. TIMSR organized two day Certification program “ISO 9001:2015 Transitional training for Auditors” on 3rd and 4th July 2017 for Teaching and Non teaching staff. The Resource person for the training program was Mr Amod Deshpande from IRQS. Objective of the training was to make staff aware and competent for implementation of ISO 9001:2015 standards for the continual improvement. Participants were made aware of various new clauses of ISO 9001:2015 standard. Various activities were conducted to understand the practical implementation of ISO clauses, conducting internal audits as per 2015 standards etc. ISO 9001:2008 awareness training programme for faculty and staff was organised on 4th February 2017. The Resource person for the programme was Ms Payel Saha (MR-TCET). Training programme was designed to help demonstrate commitment to quality and customer satisfaction as well as continuously improving our quality management systems (QMS). This training aimed to create awareness within the organization regarding various basic requirements and provide significant exposure on how these requirements can be interpreted to suit the organization's processes, products, people and customers. Insights were shared on various quality improvement issues through various case studies and examples. Faculty Development Programme on “How to Master the Secrets of Charismatic Leadership” was conducted on January 22, 2017. A Faculty Development Programme on “How to Master the Secrets of Charismatic Leadership” was conducted on January 22, 2017. The training partner for the event was Dale Carnegie and the resource person was Mr.Isar Qureshi. The purpose of the programme was to develop initiative of leadership by providing inputs for effective teamwork and to encourage every member of team to find their unique contribution needed in the world of education. It was a participative workshop replete with live examples, group discussions and team activities. A Faculty Development Programme on “ How to write a book”. A Faculty Development Programme on “How to write a book” was conducted on 20th January, 2016 in association with Confederation of Indian Industry (CII) . 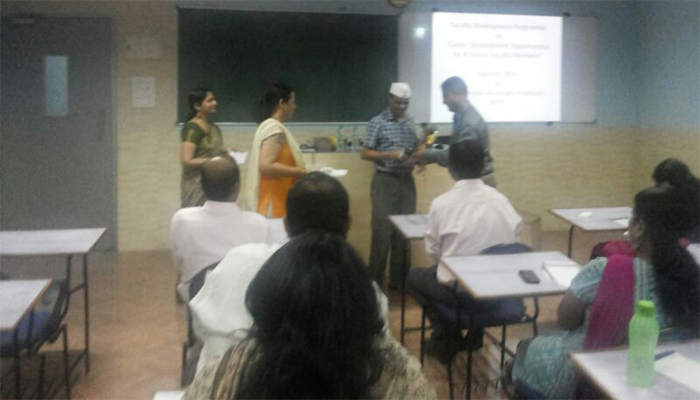 The objective of the programme was to enable the faculty members to understand the basics of how to write a book. The resource person for the programme was Mr. Sumantra Sen CEO JSW Foundation. He discussed the significance of researching and networking to realize the effectiveness of the topic. He also stated that an individual needs to understand why he needs to write a book. Overall the FDP was very interactive and informative on how to build content and connect with right people. 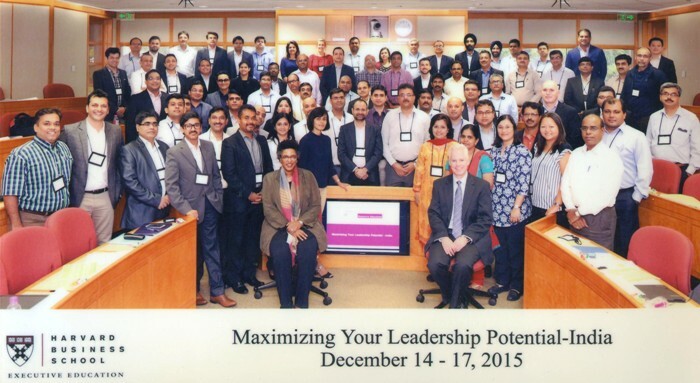 Maximizing Your Leadership-India December 2015. Prof. Dipaali Pulekar Selected and Successfully graduated from 4 days residential Business Executive Education Programme on Maximizing Your Leadership Protential at Harvard Business School, India. 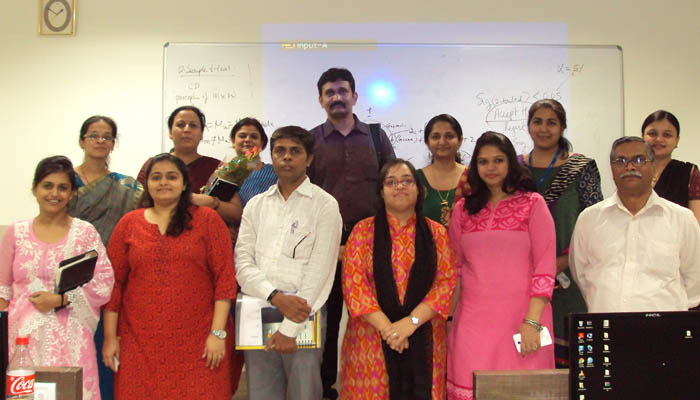 A Faculty Development Programme on “ How to write a research paper” was conducted on 31st Oct 2015. The objective of the programme was to enable the faculty members to understand how to design hypothesis while writing research papers and the various statistical tools that can be used for analyzing the data. The resource person for the programme was Dr M L Dutt,Professor & Div Head, R & D, Institute of Banking Personnel Selection. He also explained the importance of research in academics and discussed the importance of choosing the right method of analysis of data. 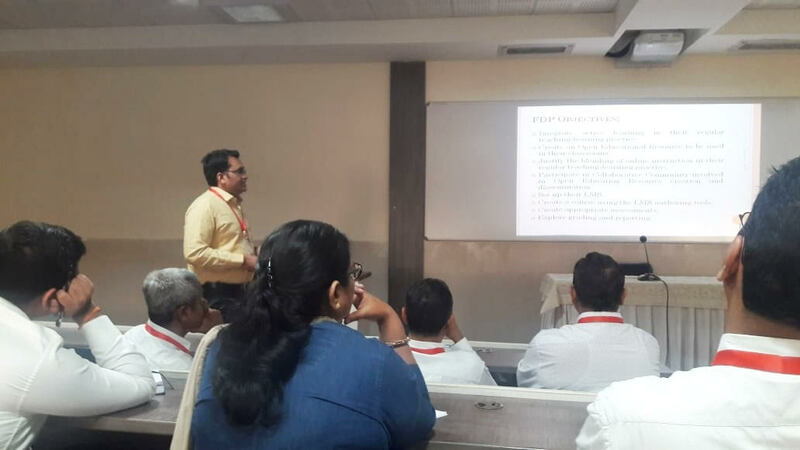 Overall the FDP was very interactive and instrumental in enlightening the faculty with the knowledge on abstract building and data collection methods. 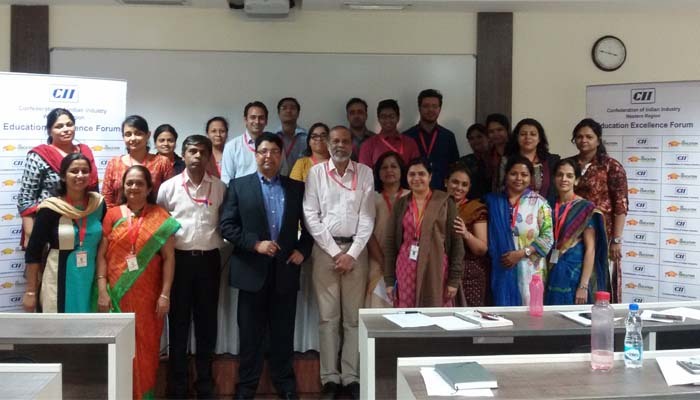 A Faculty Development Programme on “Designing Hypothesis and selection of statistical tool” was conducted on 21st April, 2015. The objective of the programme was to enable the faculty members to understand how to design hypothesis while writing research papers and the various statistical tools that can be used for analyzing the data. The resource person for the programme was Dr. Koilakuntla Maddulety, Associate Professor, NITIE. The programme covered topics like types of hypothesis, types of test like mean, chi-square, standard deviation, z test and t test. He also explained about Minitab statistics software and how to estimate sample size while doing research. Overall the FDP was very interactive and instrumental in enlightening the faculty with the research hypothesis and Statistical tools. A Faculty Development Programme on “Methods for testing Hypothesis and data analysis with SPSS” was conducted on 18th December, 2014. 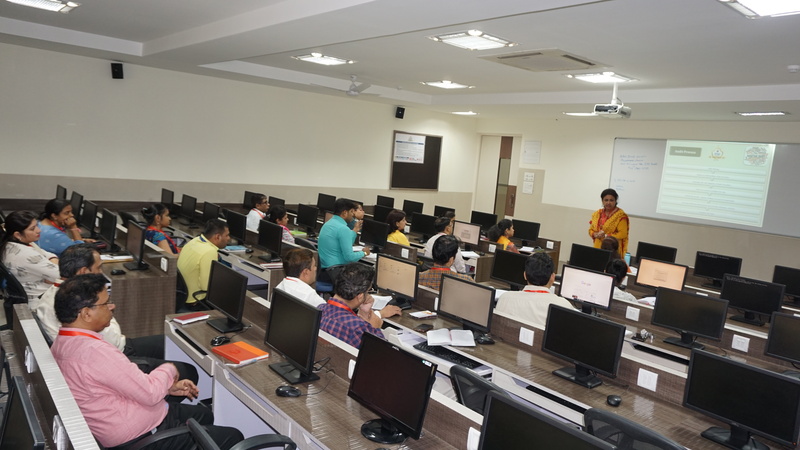 The objective of the programme was to enable the faculty members to understand the research testing methods and analysis with SPSS and to make them understand the recent advances in Management research. The resource person for the programme was Dr.Sachin.S.Kamble, Associate Professor, NITIE. The programme covered topics like gap analysis, types of scaling and testing of hypothesis with SPSS. The resource person illustrated some of the data analysis techniques that can be used with an example. Overall the FDP was very interactive and instrumental in enlightening the faculty with the research testing methods using SPSS. 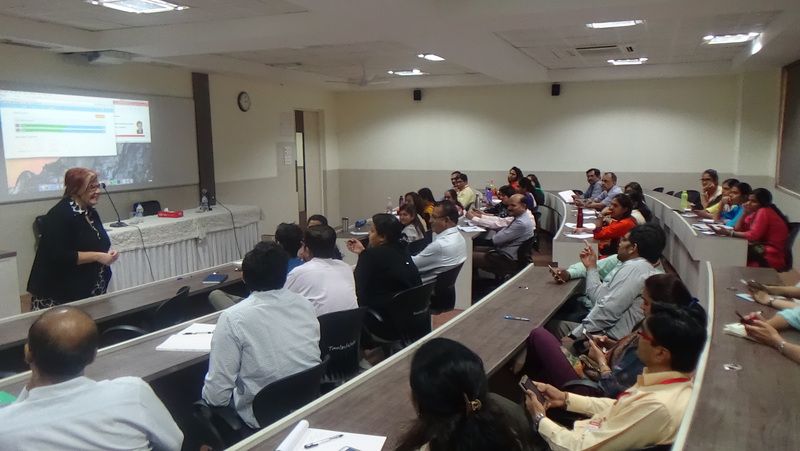 A Faculty Development Programme on “Career Development Opportunities for B-school Faculty” was conducted on 09th April, 2014. 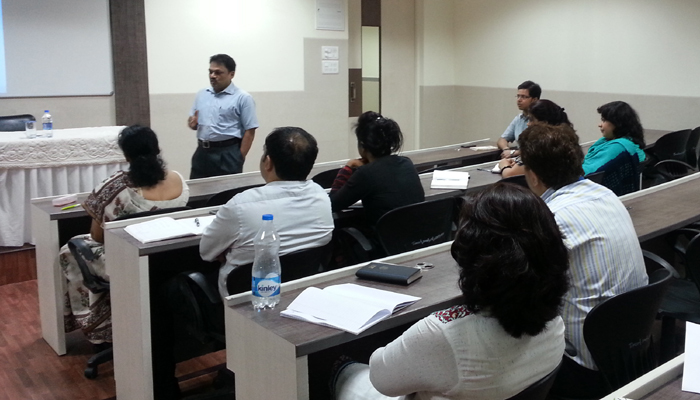 The resource person for the programme was Dr.T Prasad, Associate Professor, NITIE. The programme covered topics like career path for a B-school faculty, use of technology in teaching, live projects and consultancy. The FDP was very interactive and was instrumental in enlightening the faculty about their role clarity, teaching pedagogy and the recent advancements in management education. Dr.Dilip M Sarwate, Certified Management Consultant and Visiting faculty, Pune. Dr.Neeraj Pandey, Assistant Professor, NITIE, Mumbai. Mr.Vijay Bhandari, Management Consultant and Visiting faculty, Mumbai.